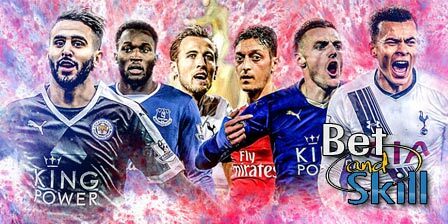 The 2016/17 Premier League season is around the corner with all the competing teams set to do battle to see who can achieve what Leicester City did in 2015/16 and lift the title. Find here our 2016/17 Premier League Outright Winner betting preview, with predictions, pick, best odds and no deposit free bets on the Premier League season! Manchester City are the outright winner favorites before week 1. New manager Pep Guardiola has delivered six titles in seven campaigns as a top-tier coach with first Barcelona and then Bayern Munich. He has been well supported in the transfer market, bringing in a number of class players to key positions. Four new signings will enhance City's title push. Ilkay Gundogan, Leroy Sane, Nolito and John Stones will help the Citizens to challenge for two demanding competitions such as the Premier League and the Champions League. Brazilian striker Gabriel Jesus will join the club next January. Anyway, the Citizens are hugely dependant on Sergio Aguero up front, who is not a stranger to treatment rooms, and their only top quality defender is the already injured Vincent Kompany. Tottenham were very impressive last term and they are expected to enjoy another positive year although their Champions League participation could be a distraction from domestic matters. Spurs looked set to overhaul the Foxes at one point last season, yet contrived to finish third after ending their season with two draws and two defeats. That experience could help them this season, but the added burden of competing in the Champions League is likely to make another title challenge unrealistic for Mauricio Pochettino’s young squad. Anyway, they play attractive football, they feature some of English football's brightest young talents and they have signed two good players as Victor Wanyama and Vincent Janssen. Chelsea completely crumbled in the first half of last season, but that largely seemed to be down to a player revolt against the rising unpopularity of Jose Mourinho. The appointment of Antonio Conte as new manager at Stamford Bridge will be a huge boost. The former Italy manager showed at the Euros that he has the ability to coax the best out of players and his Juventus side were all-conquering in Serie A. The Blues will be help by not having to play any European competition this season, just like Leicester last season. N'Golo Kante from Leicester and Michy Batshuayi are the only new faces so far and, as consequence, the likes of Cesc Fabregas, Diego Costa, Eden Hazard, Thibaut Courtois, and Willian remain key figures in the side. Arsenal finished second last season, 10 points behind winners Leicester City but they were a 1 point clear of Tottenham, and 4 clear of both Manchester City & Manchester United. It's been a standard summer of inactivity for Arsene Wenger, who has at least broken with tradition by signing a top-class holding midfielder in Granit Xhaka. With no recognised strikers yet brought in, plus trouble at the back with Per Mertesecker ruled out until the New Year and Gabriel suffering a pre-season injury, the Gunners need something more. Anyway, the fact they have not had all the changes could be a big positive. 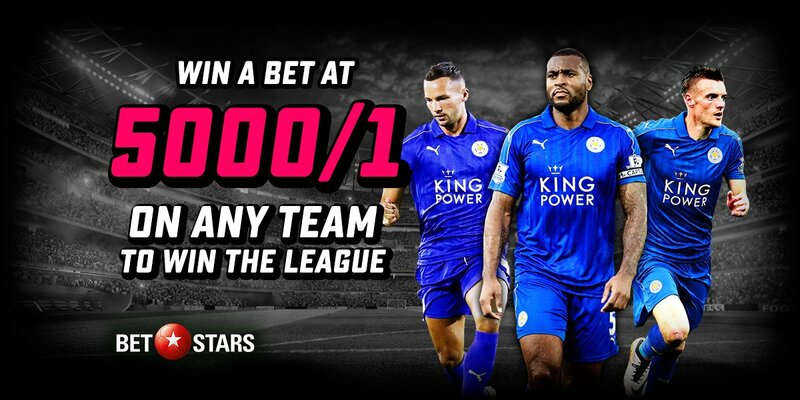 Leicester were the surprise story of last season as they claimed a maiden title after starting the season as 5000/1 underdogs. The galling loss of N'Golo Kante may be mitigated by the arrival of technically gifted midfielder Nampalys Mendy, while summer recruits Ahmed Musa, Bartosz Kapustka and Luis Hernandez have further strengthned the squad. The only real worry is that Riyad Mahrez’s future remains uncertain but they have the potential to secure another top 4 placement this year. West Ham, Everton, Stoke City and Southampton are other contenders but we don't expect huge surprises this term and these four team could only have top 5 ambitions. Betbright are offering enhanced odds on the "Top at the end of August" betting market! "2016/17 Premier League Outright Predictions, Betting Tips, Best Odds and Free Bets"